"Brazil’s Future as an Energy Superpower"
A lively discussion on Brazil’s energy future was held, followed by a concert by Sonic Impact — a global ensemble featuring musicians from China, Korea, Japan and U.S.
Mauricio Tolmasquim is a professor at the Federal University of Rio de Janeiro and former president and CEO of Empresa de Pesquisa Energética, an affiliate of Brazil’s Ministry of Mines and Energy (MME). Previously, he served as an executive secretary at the MME, where he led a team that designed a new model for Brazil’s electricity sector. 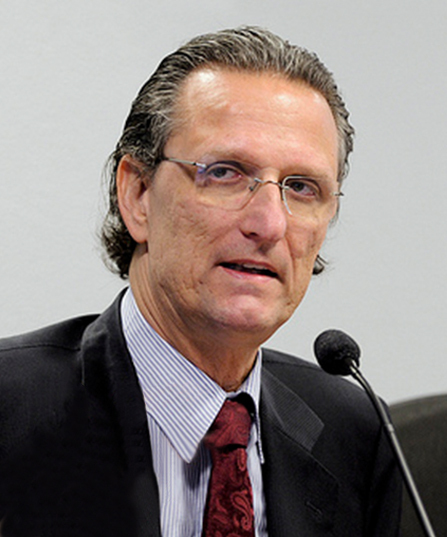 Tolmasquim also is the former president of the Brazilian Society for Energy Planning. He has authored 20 books and has had dozens of articles published in national and international newspapers. During his residency, Tolmasquim gave a public talk with GPS Professor David Victor on “Brazil’s Future as an Energy Superpower.” They discussed the country’s energy future and what role Brazil will play globally in tackling energy challenges such as limiting emissions causing global warming. Tolmasquim also connected with GPS students and faculty and attended the Institute of the Americas-sponsored La Jolla Energy Conference, during which he partook in a roundtable discussion about Latin America’s renewable energy. As well, Tolmasquim visited Qualcomm Inc. and met with other leaders in the local energy sector.